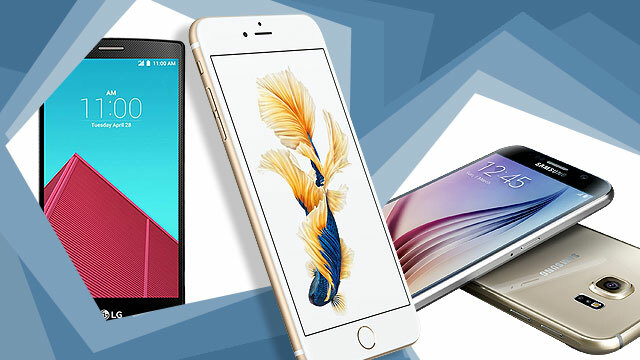 With the highly-anticipated official unveiling of the iPhone 6s comes the one question every smartphone geek is asking right now: How does it stack up against the Android competition? While there's no way we can answer that definitively right now—unless you give us money so we can buy ALL of today's superphones and use them in comparison with each other (we accept checks)—we do have a good idea of how Apple's newest flagship compares with the superphones from the Android pack, specs-wise. Because we're all curious (and comparing gadgets is many a geek's guilty pleasure), we decided to pit Tim Cook and co.'s precious against some the most well-endowed bad boys from other big-time brands in a hardware-fueled tale of the tape. FHM says: Both phones boast top-of-the-line hardware, although the G4 seemingly has the edge in the display department. However, fans of "unusual" features might be interested more in the iPhone 6s, thanks to it having a fingerprint sensor. We like the fact that the G4 has six processor cores—quite rare in today's smartphone landscape. FHM says: One of the iPhone 6s's chief rivals, the Galaxy S6 certainly comes prepared both in the CPU and RAM departments. Both devices boast 4K video recording and camera tricks entry- and mid-level handsets can only dream of. Oh, how about that? The Galaxy S6 is actually thinner and lighter despite having a bigger display! FHM says: The Xperia Z5 Premium is the world's first smartphone to have an ultra-definition display, so we guess it has the advantage in the eye-candy department. FHM says: The iPhone 6s could be the slightly better choice when it comes to taking selfies with the front camera but the One M9+ has a significantly bigger battery and has a higher resolution. HTC's flagship phone is heavier and a bit thicker, so if you're looking for something really slim and light, Apple's latest and greatest might be a better choice. FHM says: The ZenFone 2 Deluxe clearly has the upperhand in the RAM and internal capacity areas, although the iPhone 6s has more camera features and has 4K video recording. It's important to note however that, while it is ASUS's current flagship, the ZenFone 2 Deluxe is way cheaper than any of the other phones here, with an SRP in the P20,000 to P25,000 range. Again, these comparisons are based on each phone's specs-list. At the end of the day, what's important is the experience, which ultimately varies with each device and user. We can all agree though that these bad boys are the current cream of the smartphone crop and, with the way they are helping us with our digital lives, mobile tech's future certainly looks bright because of these gems.